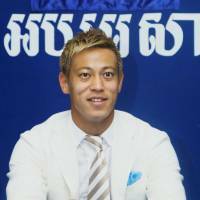 PHNOM PENH - AC Milan’s Keisuke Honda said Thursday he wants to open a soccer school in Cambodia. Following a meeting with Gen. Sao Sokha, president of the Football Federation of Cambodia, Honda, 29, said he wanted to open a soccer school in the country, targeting young Cambodians betweens the ages of 4 and 18. He said his dream is to see Cambodian sccer players participate in international events in places such as Europe. When asked when he could open a soccer school in Cambodia, and how much he might have to spend on it, Honda said it was too early for him to say, and added that his plan was still just a “preliminary study,” but that he would like to get it off the ground sooner rather than later. Meanwhile, Honda said he has his own team, which could coach Cambodian players. 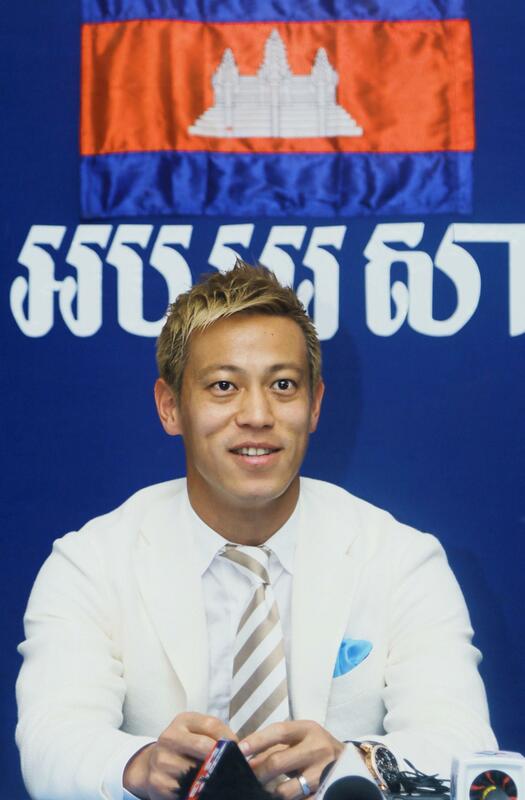 Khieu Sameth, vice president of the football federation, told Kyodo News he had invited Honda to help Cambodia’s soccer sector, reasoning that he would be an idol for Cambodia’s younger generations. He remarked that Honda came from a poor family, but had risen to become popular and very famous today. “His life story is learned by Cambodia’s younger generations — that is, no matter whether you were born to a rich or poor family, the harder you strive, that is your success,” he added. It is the second time for Honda to visit Cambodia. He traveled to Phnom Penh last November for a match with the Cambodian national team. Honda said the Cambodian team has improved since then, but needs to train harder.